The word “neat” is one of the best descriptors in the entire English dictionary. Am I being a sarcastic prick, or am I just an incredibly innocent individual trying to tell Thomas that his clothing is aesthetically enjoyable? Transfer this way of thinking to my weekly “Really Neat or Take a Seat” article. When I say a player is “really neat”, you may wonder whether I’m saying that this player is sarcastically neat or traditionally neat. For instance, the declarative Week 7 statement “Dez Bryant is really neat” may create two types of responses. The first would be the simple “Dez Bryant is going to post favorable numbers this week.” In this case, the word “neat” is in its purest form. The other response, however, could be something along the lines of “Man, Dez Bryant is such a douche.” In this instance, the word neat has become associated with a sarcasm and negativity, as many would conclude that the word itself is so rudimentary that it can’t possibly be used correctly. For the sake of this article, as well as my past and future “Really Neat or Take a Seat” columns, the word “neat” is what Webster describes as “great; wonderful; fine”. I promise I’m not trying to be a douche. It’s just a catchy title. Victor Cruz and Eli Manning are really neat. Washington’s secondary is giving up the most points to wide receivers, and I could see this game becoming somewhat of a shoot out. I realize these two guys should rarely be benched (especially Cruz), but feel confident with them in your lineup this week. Doug Martin is really neat. Honestly, Martin has been somewhat of a disappointment this season given his lack of touchdown production. But against a New Orleans defense that gives up the most points to fantasy running backs, I expect Martin to have a 100-plus yard day. And if you’re desperate for a running back play, check out LeGarrette Blount. Matt Hasselbeck is really neat. If you’re a Matt Ryan owner, for instance, and need a bye week filler, Hasselbeck is your man. He’s facing a Buffalo team that has surrendered double digit fantasy points to all but one quarterback (Brandon Weeden) they’ve faced this season, and they’ve allowed two thirty-plus point performances too. Andrew Luck is really neat. Ben Roethlisberger is really neat. The only game the Bengals secondary played well against opposing quarterbacks was when they faced Miami two weeks ago. Yeah, you know – Miami. The team starting rookie quarterback Ryan Tannehill. Donnie Avery is really neat. Now, I’d expect Haden to be on Wayne for the majority of the day, and because the Browns secondary is porous, Avery could be a nice sleeper start. Mike Williams is really neat. Williams has been able to make big plays his last two games, and New Orleans loves to give up the big play. Seems like a recipe for success. Felix Jones is really neat. The Panthers can’t stop anyone on the ground, and with DeMarco Murray out, I expect Felix Jones to get some love this week. If you’re in a deeper league, look for running back Phillip Tanner, too. Heath Miller is really neat. The lowest amount of fantasy points the Bengals have given up to tight ends is 5.7. And it was against the Browns. Doesn’t that make you love Heath this week? He’s solid as a rock. Jay Cutler is really neat. I could see Cutler, at home off a bye, having a solid week against a poor Lions’ secondary. He’s a big play quarterback, and the Lions definitely have given up their fair share, even last week against Philadelphia. Josh Gordon is really neat. He’s got 3 touchdowns over the last two games, and while he does play for the Browns, the Colts defense isn’t all that good against stopping a passing attack. Gordon has an opportunity to get another big one this week. Santana Moss is really neat. This is a deeper play, but Moss has historically performed well against the Giants. With Garcon looking like he may miss yet another game, Moss becomes a viable bye week fill-in. Chris Johnson is really neat. I’m probably going to regret this, but here goes. Remember when the Patriots ran all over the Bills a couple of weeks ago? Well, divide that by two, and you still get a good day by Chris Johnson. Here’s to hoping. Other really neat players: Darren McFadden, Arian Foster, Maurice Jones-Drew, Buffalo running backs, Vick Ballard, Vincent Jackson, Nate Washington, Kendall Wright, Marques Colston, Brandon Marshall, Ryan Fitzpatrick, Josh Freeman, Robert Griffin III. Matthew Stafford should take a seat. 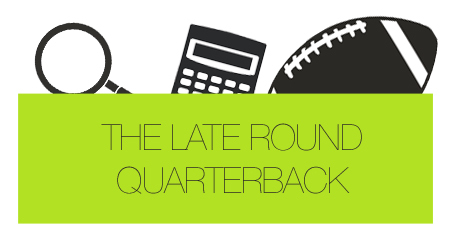 Do you know who’s giving up the least amount of fantasy points to opposing quarterbacks? The Bears. Do you know who the erratic Matthew Stafford is playing in Week 7? The Bears. Jermichael Finley should take a seat. William Powell should take a seat. He looked good last week with Ryan Williams out for the year, and clearly has an edge in the Arizona backfield. But if you can, put him on the bench this week for Minnesota. I think he’s the Arizona back to own, but this week won’t look good unless he gets into the end zone. James Jones should take a seat. I mentioned it in my “Week 6 By the Numbers” yesterday – James Jones has 23 receptions and 7 touchdowns. You’re banking on him to score, and with Greg Jennings potentially coming back, Jones just isn’t worth the risk. Especially against a decent Rams secondary. Brandon Lloyd should take a seat. Now, I’m not saying you should bench him, but temper your expectations. The Jets defense is stopping opposing receivers, and given the resurgence of Wes Welker, Lloyd may be a low-end play this week. Christian Ponder should take a seat. He’s typically going to be a matchup player, and this week’s isn’t good against Arizona. Aside from the game against Miami, the Cardinals defense hasn’t given up much at all to opposing quarterbacks. Mikel Leshoure should take a seat. He’s a very “meh” play every week, and against Chicago, he’ll become more of a “nah”. Bench him if you have better options. Frank Gore should take a seat. Evan Silva mentioned on Twitter yesterday that the “Seahawks defense is like Revis Island for running backs.” Why trust an aging Gore against them? Fred Davis should take a seat. He’s kind of coming around, but don’t think he’ll get anything significant this week against a Giants team allowing the third least points to opposing tight ends.